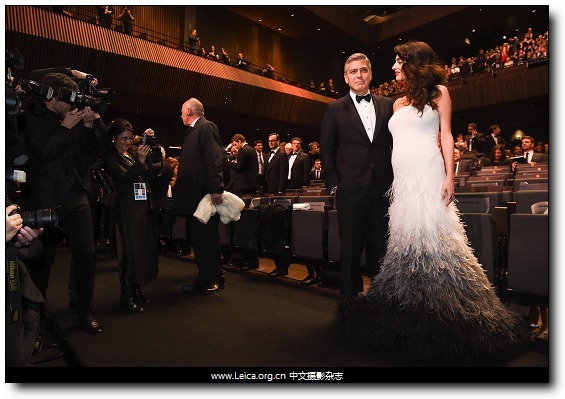 Actor George Clooney and his wife Amal pose before the start of the 42nd Cesar Awards ceremony in Paris, France. 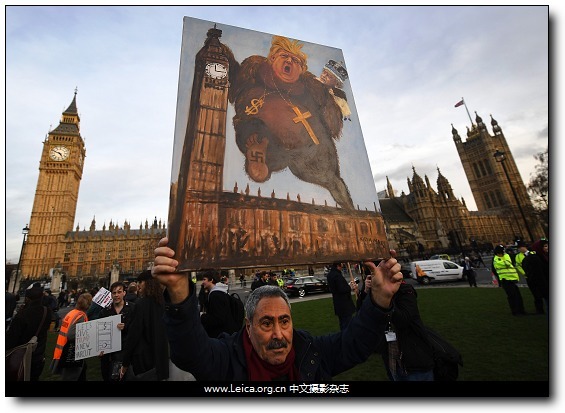 Political satire artist Kaya Mar joins a protest against the proposed State visit to the UK of US President Donald J. Trump, in London, Britain. 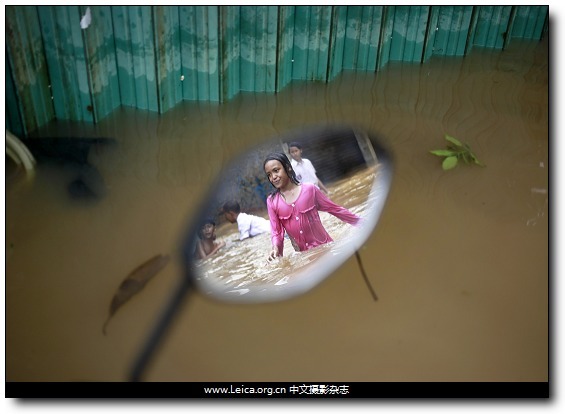 The reflection of a girl is seen on a mirror of a motorcycle left at a flooded neighborhood in Jakarta, Indonesia. 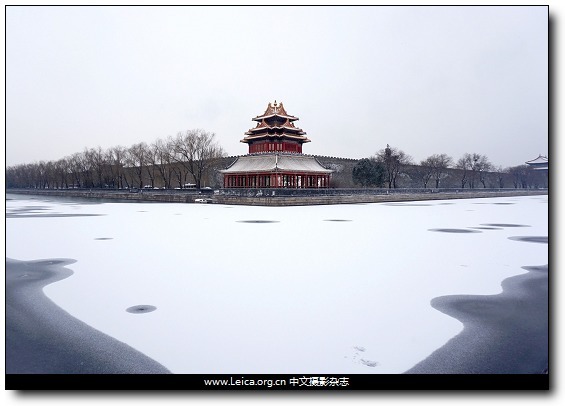 Snow is seen in the moat surrounding the Forbidden City during a snowfall in Beijing, China. 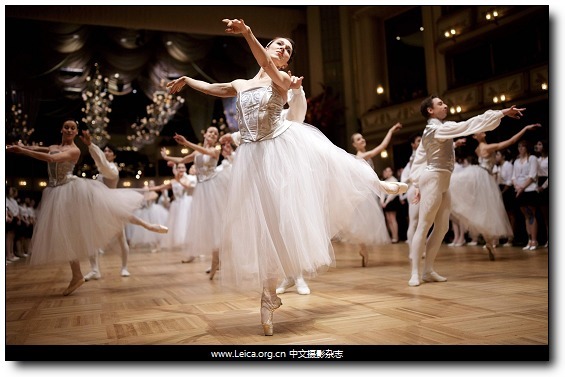 Dancers of the State Opera Ballet perform in the ballroom during the dress rehearsal for the Vienna Opera Ball at the Vienna State Opera, Austria. 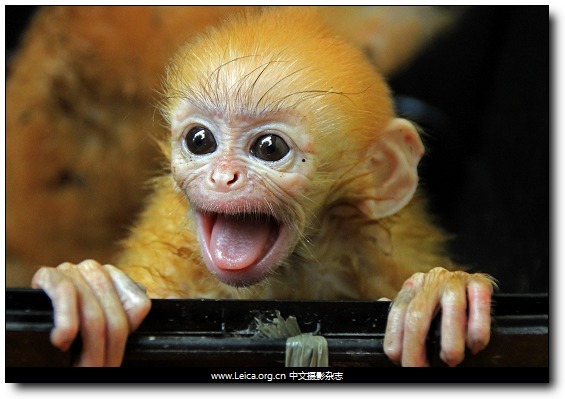 A golden langur rescued by The Center for Conservation of Natural Resources in Pekanbaru, Indonesia. 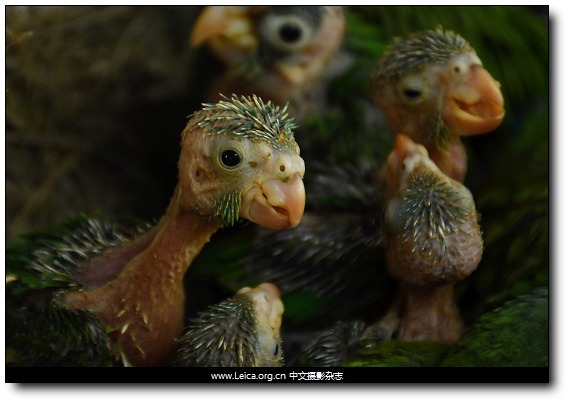 Orange parrots and catalnica chicks are photographed at the El Tronador Wildlife Rescue Center in Berlin. 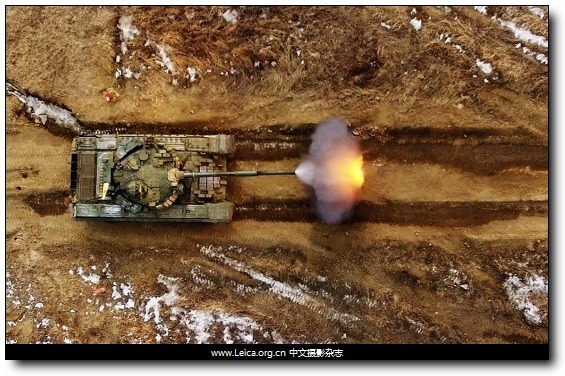 A T-72B1 tank of the Russian Eastern Military District's 5th combined arms army competing in an individual race at a qualifying round of the 2017 Tank Biathlon Competition at the Sergeyevsky training ground. 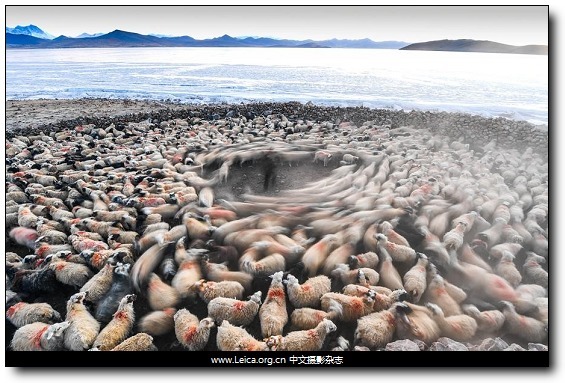 A villager counts sheep before stepping onto the frozen Puma Yumco Lake, southwest China‘s Tibet Autonomous Region. This entry comes from 中文摄影 and has been read for 58765 times.It tagged with 新闻摄影 , 全球一周.